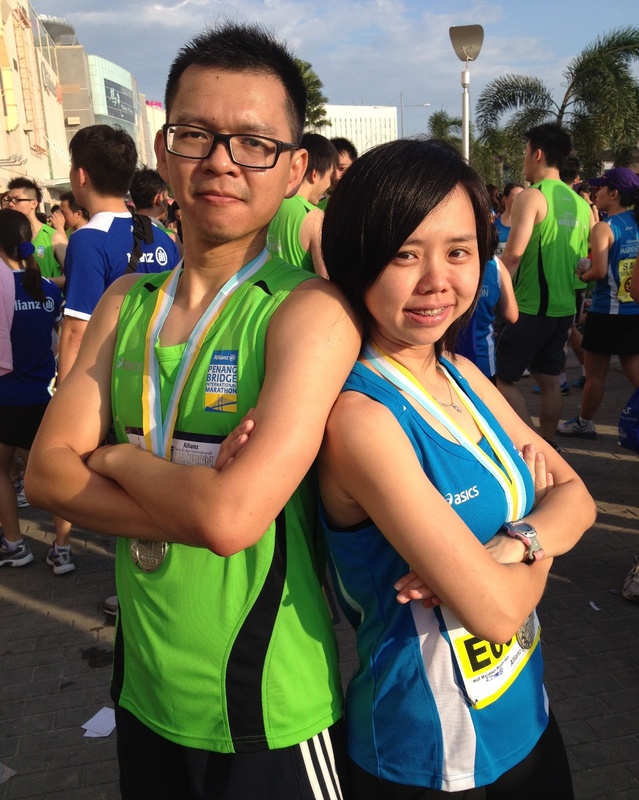 Penang Bridge International Marathon 2012 – My Virgin Full Marathon! 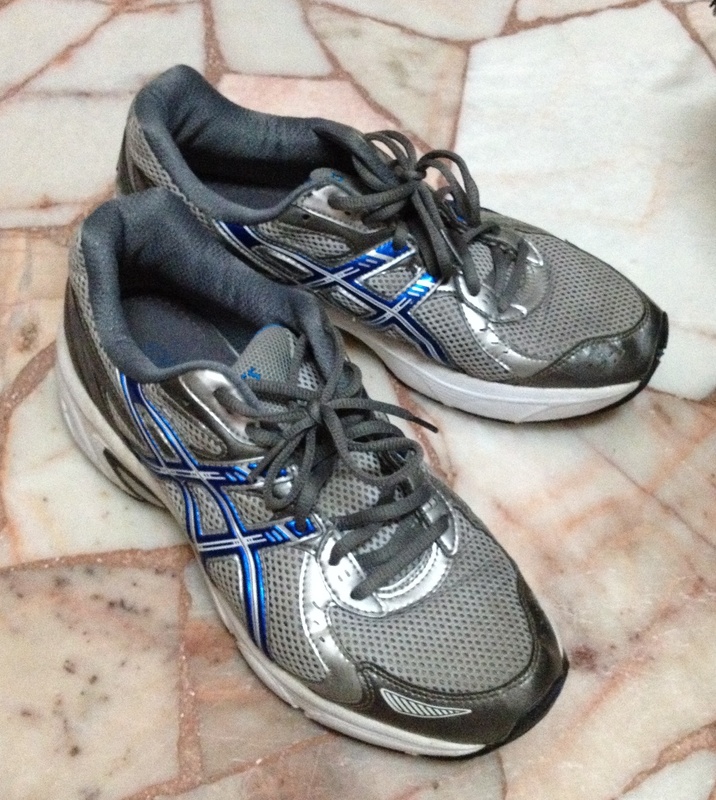 Until I got this birthday gift from my darling in 2011, an Asics running shoes. And then near end of 2011, I spotted a deal in Groupon regarding a fitness training programme, called bootcamp. Actually I have no idea what is that all about. Only I saw those photos posted were quite interesting and then I go buy and joined. Ended up I’m into a no-return-trip. Yes, I joined Chie’f Original Bootcamp. Starting Jan 2012, where I first reported on the field, I know I’m in trouble when meet a group of crazy hyperactive peeps!! Positive energy flow from them are enourmous! 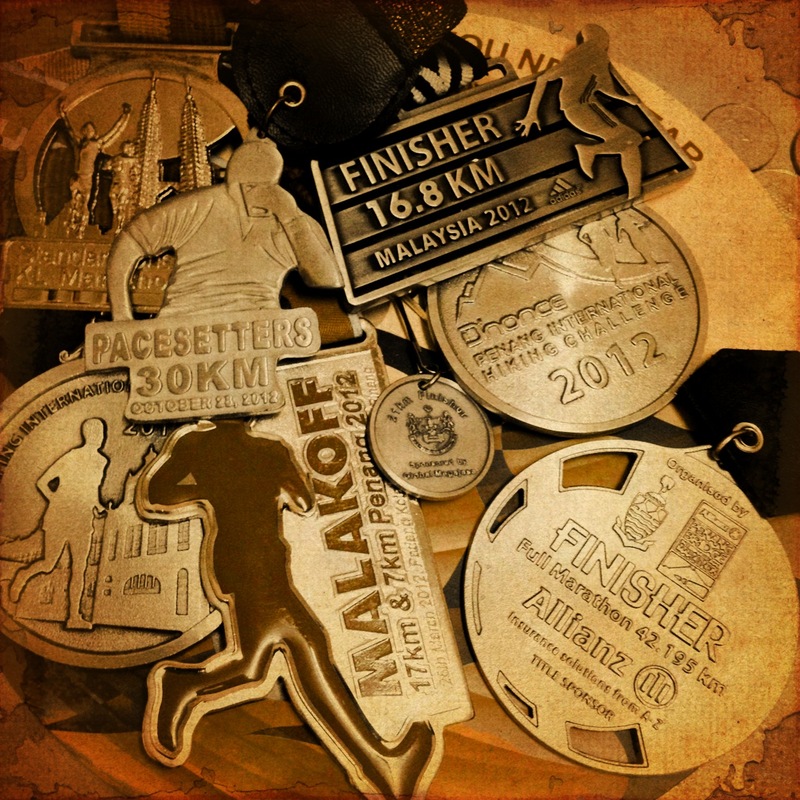 Throughout the year, I’ve join many event as my first time, and the most running events in a year of my lifetime. I even drag my darling Novelle along to join COBC (it takes few months before she calm the fear and terror before joining =P heheh). 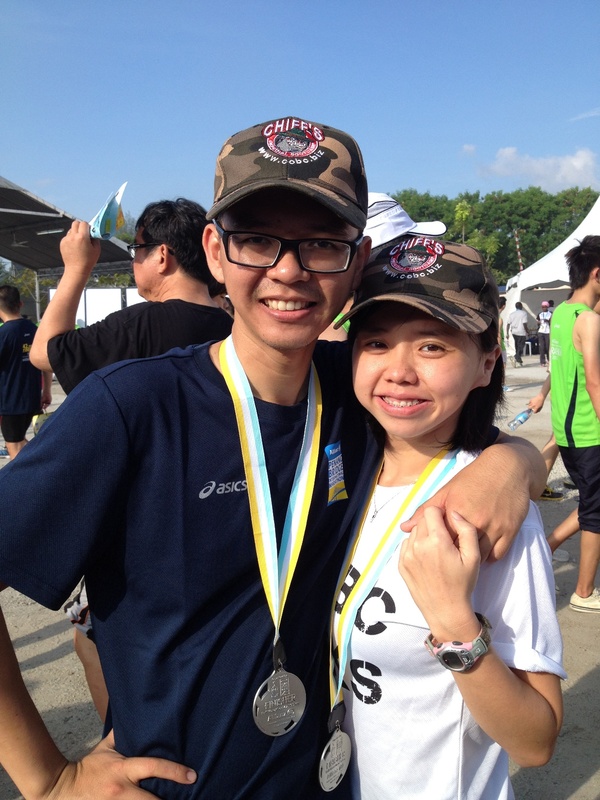 End up both of us also addicted to long distance running events. 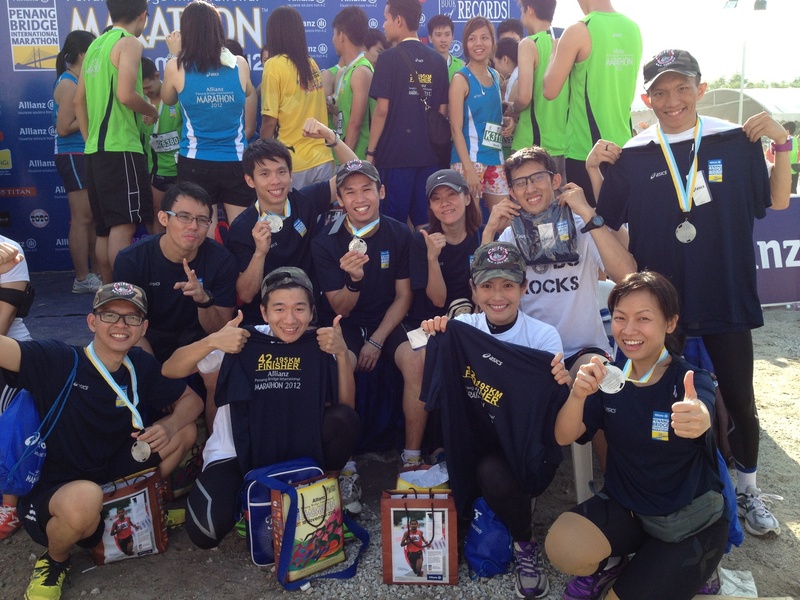 In year 2012,I’ve then joined few running events in Malaysia, some with good timing some with bad timing. Ok, enough for the long-winded, focus on this event. The race started quite well for me as I have enough sleep (approx 5 hours) before meet up with Sarge and others for carpooling to QB area. And the day before, also did awesome job in carbo-loading, hahaha. When the MC of the event start counting down, I get ready with Runkeeper and waiting for the race to start, the gun shoot 1 minutes before 2am as per my watch timing. 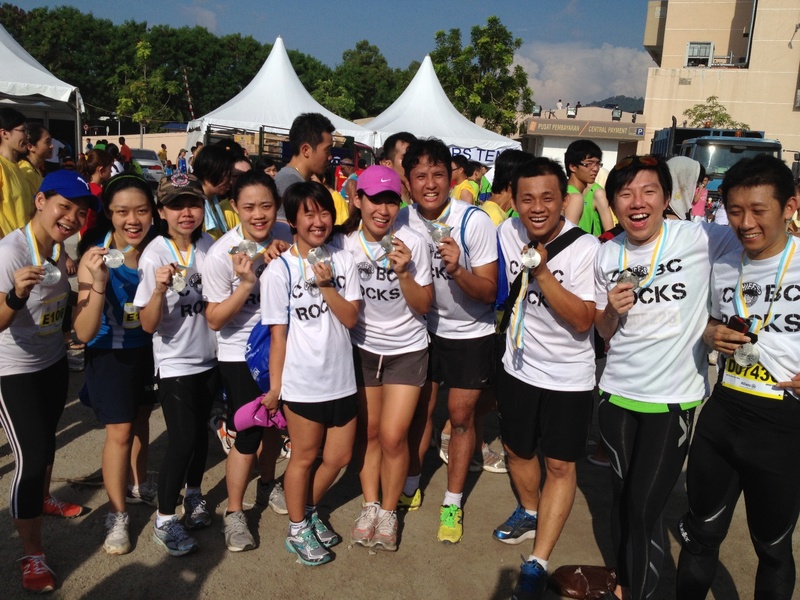 This year, PBIM have improved much better, and they integrate the live tracking rtrt.me apps for all the runners. Once we crossing the starting line, the tracking apps will start track our run at once. At first 10KM, I’m running with confidence (because of result gained from Pacesetter 30KM) and with steady pace at 6:00 min/km, aim to follow 4:30 pacer. First time in full marathon (My Virgin Marathon Run!!) and also first time start running that early at 2am, I found it’s quite nice, as the road is not that pack with runners. 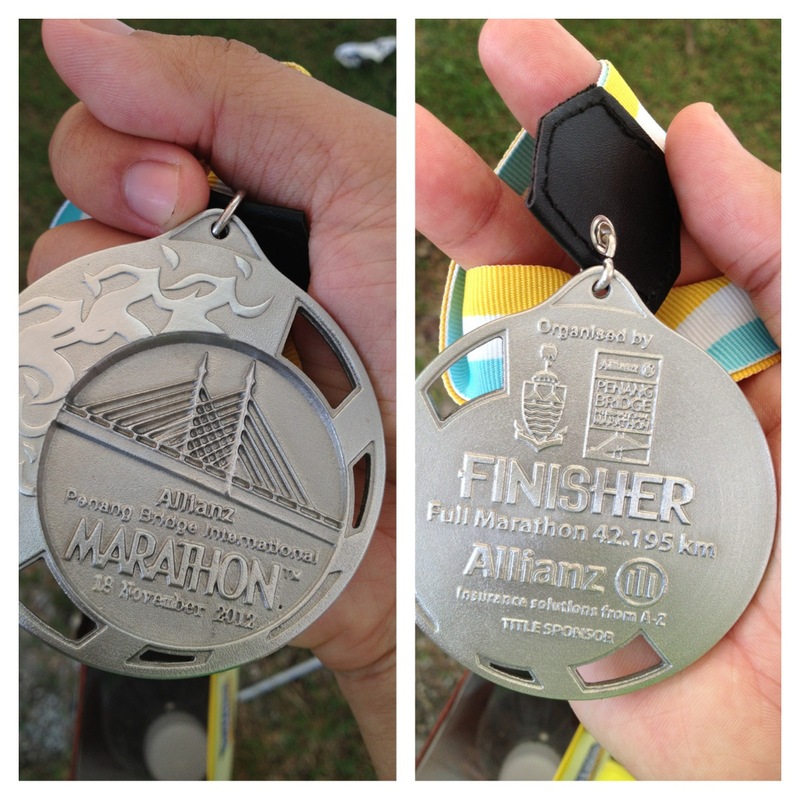 Compare to half-marathon last time, I still hardly start run until a certain distance. But for FM, around after 1KM distance, where the turning point to Seagate factory, runners start to speed up their pace and no feeling that suffocate running in huge pack. But while nearly reaching 7th water station, my feet’s starting to slow down alot and I’m on walking pace now. I saw the 5:00 pacers just pass and fly so fast. Aikss.. must catch up that balloon!! After 7th water station, Jun Eng passing me from behind and told me his things falling down from the plastic bags and lucky he didnt put his phone in the bag, hahha. Talk for awhile he passing me running while I recovering my pain as I’m walking.At the mid point of the bridge, FM runners start to merge with HM runners, I can see there’s a big swarm of runners merging and run together. This could be the nightmare for FM as the road is very jam pack and you need to turning left and right to by-pass other runners, where most of them are walking. I start running again after having first power gel after the merging point, and run until 26KM before slowing down again and back to walking. My ankle start to feel very sore at this time, not sure if I’m causing my ankle tired when turn left right too much passing others HM runners. 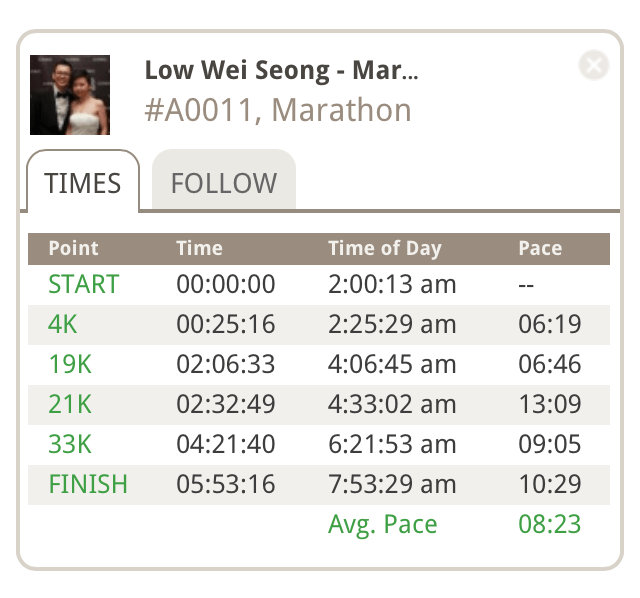 At 28KM when turning out and going down the bridge, I saw Lily passing from behind running good. Very funny she run toward the photographers at the side and posing then run away again, hahahah. I’m walking until HM runners u-turning back to the direction heading to QB, and slowly start run a little. But my ankle pain was calling me stop very soon after a kilometre. I only able to walk and run for 200meter then walk again. Passing Tesco and the distance now is very looooong. Many FM runners start to walk at this point. At opposite direction I can see many FM runners are on their way back to QB. At this time feel kan jiong when se 4:30 pacers already on their way back. Am start to worry am I way too slow that will get kick out from cut-off time? I keep pushing my legs to run whenever I could. After passing Shell, at the opposite direction I spotted Eric, then Gimmay (what? She run damn fast wei!! ), Simon, Kiwi, Corp Kenny, and Sarge already on their way back. Sarge was in walking pace and he seriously look pain on his face, I was suspecting he might suffer some injuries somewhere (and afterward found that he got his thight and knee muscle hurt alot). After struggling long enough and finally I reach the Banana station!! I did take my sweet time eating the banana, take 2 cups of 100plus, 1 cup of water. Like I’m having a banana cocktails, hahaha. Once refreshed myself, I start to walk again and now heading back to QB. Along the way, I stopby few first aid station to get ice treatment on thight and knee. can’t get ice my pain ankle and only can ice those sore part that visible.. Sad that I couldn’t run at this distance as I wish to. My knee was started feel much more pain as well. Pacers of 5:30 were in my sign as well. Stress-nya. Had my 2x powergel also no use, the pain in the joints are making me can’t run at all. Below is the map recorded in Runkeeper.